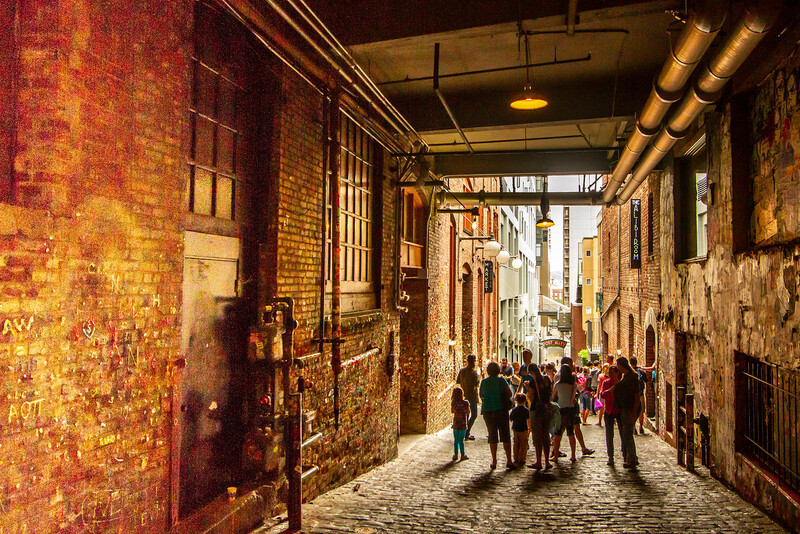 At its most basic the gum wall is nothing more than a brick alleyway in downtown Seattle covered with gum. In 1993 patrons of the “Unexpected Productions’ Seattle Theatresports” began to stick gum to the wall and placed coins in the blobs of gum. Twice workers tried to scrape away the gum but a tradition had begun and eventually they gave up. 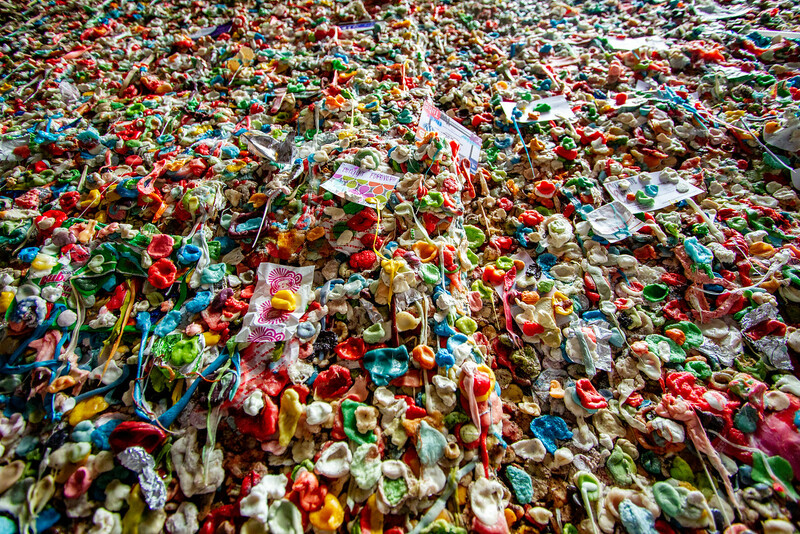 In 1999 Pike Place Market officials declared the gum wall an official tourist attraction. The ever growing wall is now several inches thick, 15 feet high and over 50 feet wide. But, the question remains, is this art? The wall certainly has emotional power but, that emotion is often “ewww” or “gross”. Does it show creativity or imagination? Maybe a little. Skill? Nope. I did, however, find it interesting and if it is not art in and of itself, it is a testament to people’s need to express themselves and cooperatively create things. In my mind that – if not this work – is important and I will reluctantly concede that, like the Beer Can House, it is art. What do you think? Good question. I made a contribution to the Seattle Gum wall last year and didn’t do it as a form of artistic expression as much as just to be a part of a community. Though, I do think it is a form of art because it is viewed and appreciated. I think it is! Sometimes art just happens. I went to Seattle and completely forgot about this wall. I don’t know if it’s art or not but I would still like to see it.